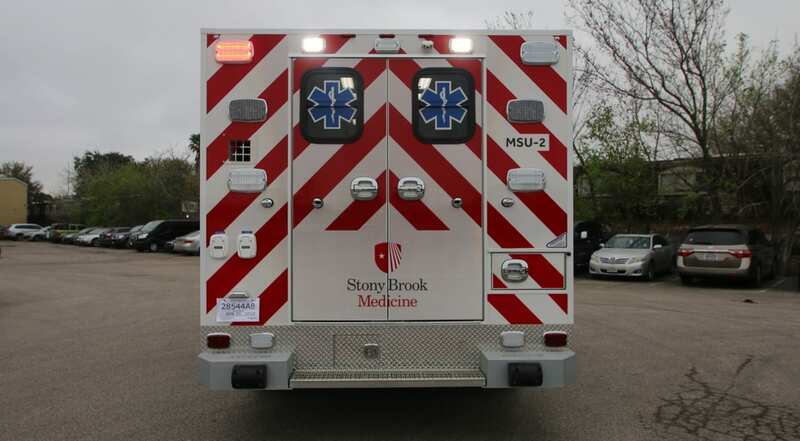 Take a virtual tour of the latest mobile stroke unit built for Stony Brook University Hospital! 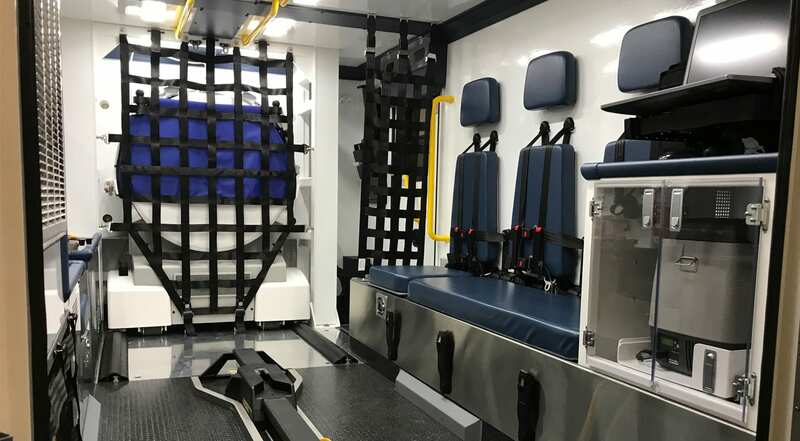 The 14 ft mobile stroke unit (MSU) for Stony Brook University Hospital is mounted on a 2019 International 4300LP diesel chassis and features LiquidSpringTM suspension. 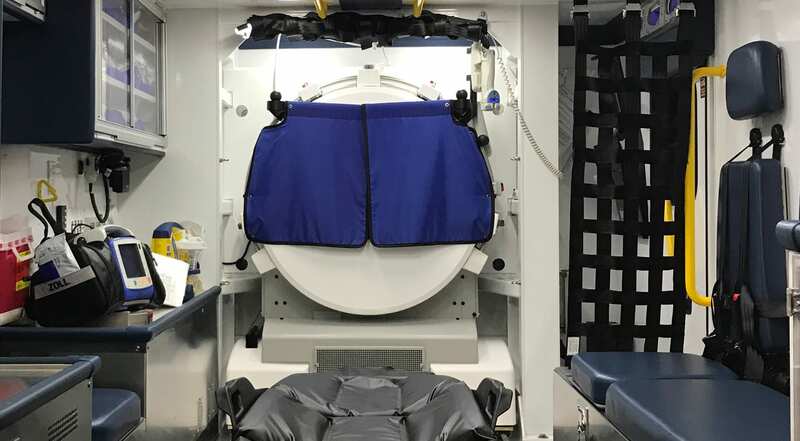 The MSU is equipped with an eight-slice CereTom® portable CT scanner and state-of-the-art telemedicine instrumentation to help diagnose and treat stroke patients. 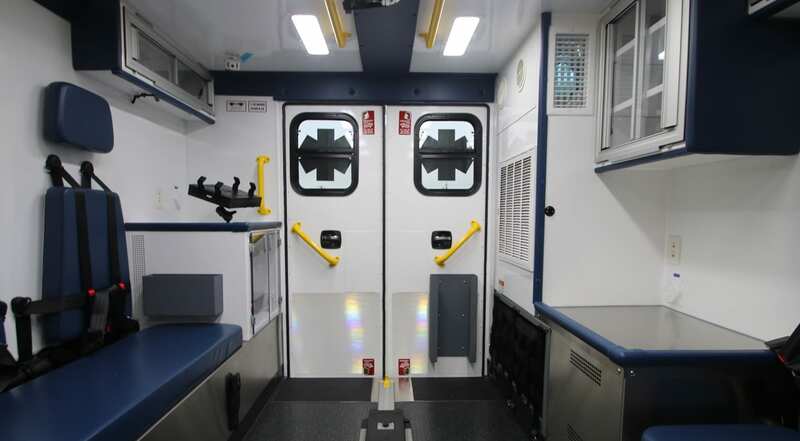 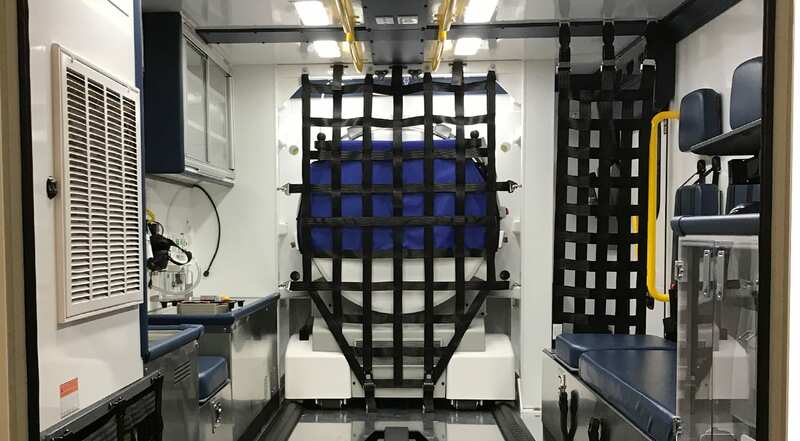 This is the second mobile stroke unit Frazer has built for Stony Brook University Hospital; the first was delivered in January 2019. 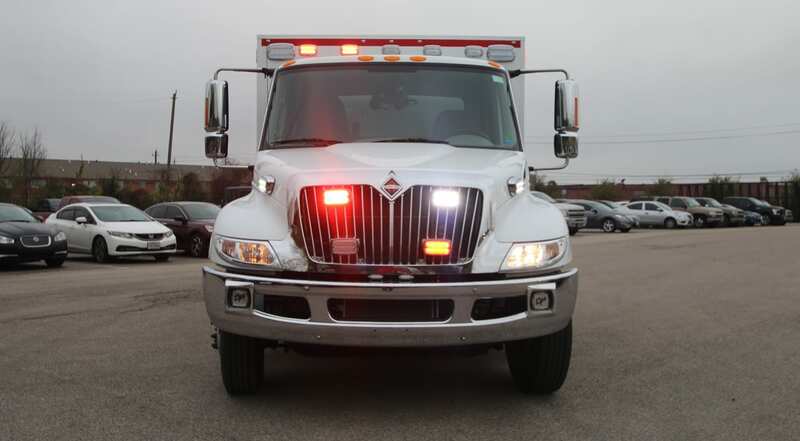 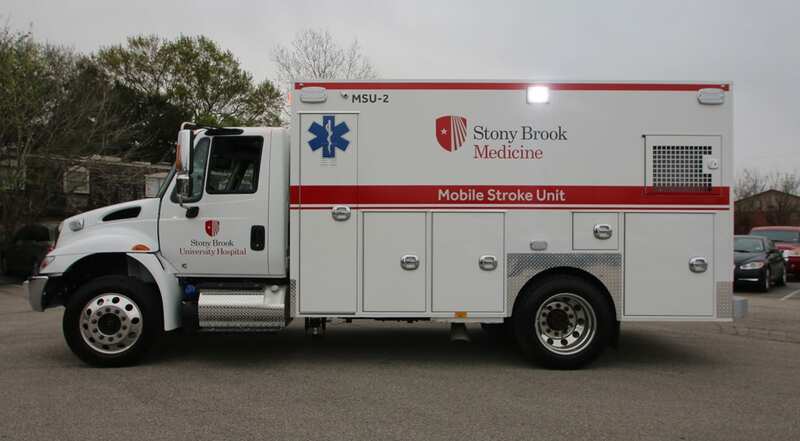 The two mobile stroke units will go into service in Suffolk County, NY on April 1, 2019. 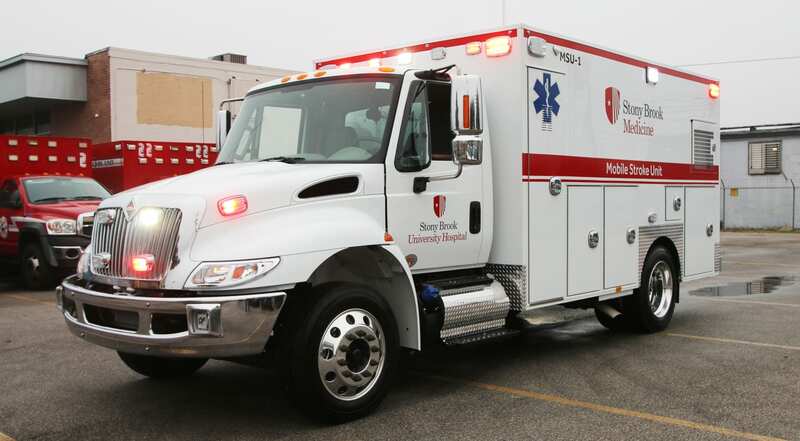 The MSU program’s aim is to assess and treat patients suffering a stroke with lifesaving medication before reaching the hospital. 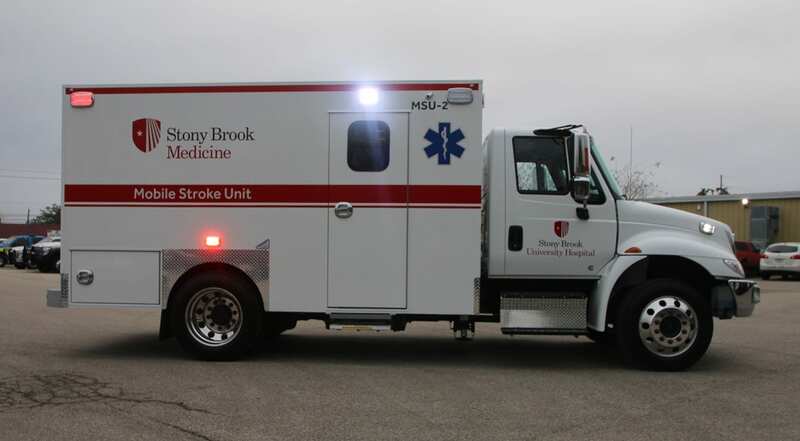 Other mobile stroke units built by Frazer, like UR Medicine’s MSU in Rochester, NY, have been able to treat stroke patients, after arriving on the scene, in as few as nine minutes. 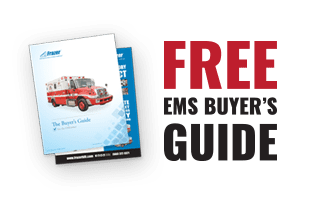 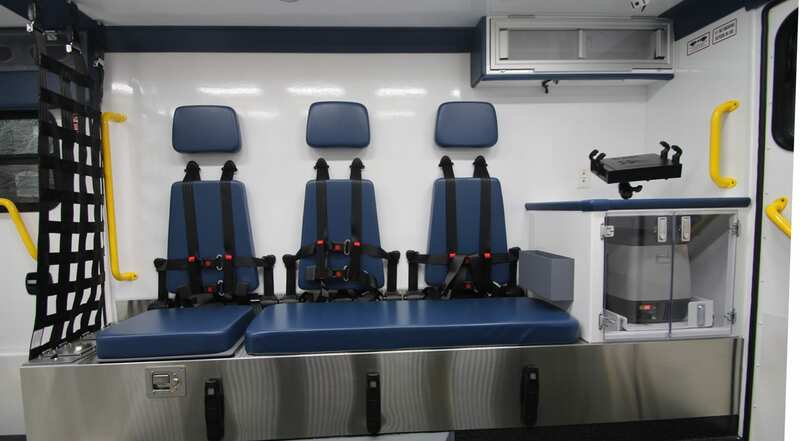 Click here to see the standard features of a Frazer Mobile Stroke Unit.